Water proof / Cheap N' Tacky 38 lbWater proof when using pigment inks. 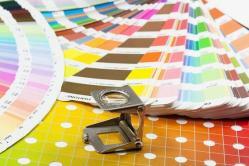 An excellent economical vinyl alternative for short term outdoor signage when using pigmented inks. An extremely quick drying time. A permanent adhesive paper. Water Resistant 10 mil Tyvek BannerAn economic high quality 15 mil, brigh white, tear and scratch resistant, vinyl banner with a waterproof matte coating. Water Resistant 11 mil Bright White Vinyl PSAAn 8 mil water resistant, bright white polyproylene film designed for both piezo and thermal inkjet printers with either dye or pigment inks. Water Resistant 17 mil Blockout ScrimA 20.2 mil cotton and polyblend water- resistant matte canvas. Matte surface with a non-glare finish and museum grade appearance. Quick dry for smudge free handling and finishing. Compatible with dye and pigment ink systems. Ideal for photographic portraits, art reproductions, POP displays, and hanging banners. Water Resistant 6 mil Bright White Satin ClothA water resistant, bright white, semi sheer satin cloth. The image side is coated with a universal coating that is designed to work equally well on piezo and thermal inkjet printers as well as being compatable with dye and pigment inks.Pricing listed below is per roll. 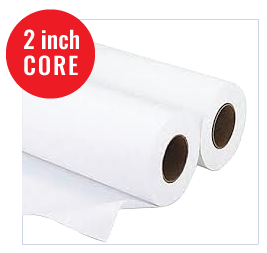 Water Resistant 8 Mil Bright White Poly ProAn 8 mil water resistant, bright white polyproylene film designed for both piezo and thermal inkjet printers with either dye or pigment inks.Pricing listed below is per roll. Water Resistant 8 mil Bright White Poly Pro PSAAn 8 mil water resistant, bright white polyproylene film designed for both piezo and thermal inkjet printers with either dye or pigment inks. Water Resistant Bright White Satin ClothA water resistant, bright white, semi sheer satin cloth. The image side is coated with a universal coating that is designed to work equally well on piezo and thermal inkjet printers as well as being compatable with dye and pigment inks. Pricing listed below is per roll. Water-resistant / Cheap 'N Good 180This blockout scrim is comprised of a tear-resistant polyester fabric embedded between 2 layers of bright white, scratch resistant scrim vinyl with a blockout layer and a waterproof matte coating.